Here's how to make good when too much investment news is bad news. Given how much the world of Wall Street has changed since the 1990s—and the growing roles of high-tech and big data within it—it makes sense we’ve crossed a line from which there can be no retreat: The financial media’s news cycle today runs 24/7. And for all investors, that means the voices of reason get drowned out in a sea of cacophony that includes (deep breath): cable TV, YouTube, insider websites, outsider websites, blogs, online magazines, podcasts, newsletters, celebrity stock picker shows… and dancing hamsters. Fine, so dancing hamsters have nothing to do with stock. They’re not even cute anymore. But some screaming, self-styled investment gurus were never cute to begin with. Odds are some may know as much about priming a portfolio as a burrowing rodent. Who let them out of their cages? What’s a confused investor to do, then, in an information-overload age when the happy medium seems more like the muddled middle? Here are five bits of sage advice market experts offer as an antidote to sound bites and soap opera scandal. So ask yourself: If interest rates go up in the next few months, it certainly won’t be the first time, right? If top-dog news editors make their living separating the important stories from the trivial ones, who’s to say you can’t do something similar as a news consumer and investor? Ask financial professionals where they go and you’ll hear answers like the one offered by Drew Horter, president and chief investment strategist at Horter Investment Management, based Cincinnati. Still, an outlet that’s sensible one minute can go full-tilt sensationalist the next. The media, it’s often said, writes the first draft of history. But many a first draft needs revising, and what sounds alarming one day often fades into reliable precedent with time. And so arises a Wall Street paradox: Studying yesteryear’s news may tell you all you need to know about how today’s headlines will play out. 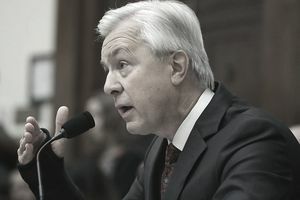 Without a doubt, the biggest media storm in banking over the last month has been the Wells Fargo cross-selling debacle. The hearings before Congress have yielded non-stop headlines, especially when Sen. Elizabeth Warren (D-Mass.) told embattled CEO John Stumpf that he should “return every nickel you made during the scam." The headline machine roared to life once again when Stumpf resigned as president and CEO on Oct. 12. But through it all, were investors missing what might be the real long-term story? Right now, stock in Wells Fargo (WFC) is priced just shy of $45; a year ago, it $55. To be sure, that’s a sharp drop of close to 20 percent, even as Wells faces more federal scrutiny in the months to come. But it has also cleaned house by naming Timothy Sloan, the bank’s Chief Operating Officer, as the new CEO. What’s more, Wells Fargo still remains one of the most valuable banks in the world, with a market cap of $222.75 billion. So chances are Wells Fargo isn’t going away—and that in fact, its stock could be a bargain right now. No one knows more about such cycles than Buffett, who in 2001 told Fortune magazine: “When hamburgers go down in price, we sing the ‘Hallelujah Chorus’ in the Buffett household.” You’d be singing it, too, if you’d bought stock in Citibank (C) for 97 cents a share in April 2009, at the apex of the mortgage crisis. Less than a decade after the media’s doom and gloom forecasts, Citibank now sells for about $49 a share: down from last November’s $55.87, but also up 975 percent from mid-2011. Let’s say billionaire Warren Buffett catches a bad brain freeze at one of his Dairy Queens from eating a Blizzard too fast. His precautionary visit to the ER would be replayed at the top of the hour, every hour, on every single cable news channel in existence. And why not? Warren Buffett! Emergency room! Billionaire! Time to cue up the press conference. But if Buffett were to hold court on value investing — the bedrock philosophy that made him a billionaire in the first place — it’s easy to imagine the coverage getting bumped in favor of a breathless pundit’s prediction of an impending interest rate hike. There's an irony among those who invest in a knee-jerk reaction to headline news: To the extent that they glom on to the gloom, they too often create it for themselves. "Speculators are not interested in the long term," says Robert R. Johnson, president and CEO of the American College of Financial Services, based in the Philadelphia area. "They want to get a profit quickly, oftentimes taking a position for anywhere from a few minutes to months — but not for the long term." If nothing else, sensational market headlines go moldy in time. "Investors take positions for the long-term — recognizing that they cannot accurately predict the short-term vagaries of the market. It's my belief that many novice investors equate speculation with investing." And so, it boils down to an age-old story: A fool and his money are soon parted. "Speculators believe," Johnson notes, "that shifting rapidly from one investment to another is a prudent strategy, when, in effect, it is a fool’s game."